Docker gives PODA or Package Once Deploy Anywhere. It simplifies software delivery by making it easy to build and share images that contain your application code and infrastructure together, managed as one component. Each Docker container is a self-contained microservice that provides isolation, resilience, decoupling, and other benefits. This talk will provide a quick introduction to Docker. It shows how to package an existing Java EE monolith in a Docker image. The application will then be refactored into multiple microservices and assembled together using orchestration. Testing of such applications will be discussed and shown. Design patterns and anti-patterns to create cluster of such applications will be demonstrated and discussed. Arun Gupta is Director of Developer Advocacy at Red Hat and focuses on JBoss Middleware. As a founding member of the Java EE team at Sun Microsystems, he spread the love for technology all around the world. At Oracle, he led a cross-functional team to drive the global launch of the Java EE 7 platform through strategy, planning, and execution of content, marketing campaigns, and program. After authoring ~1400 blogs at blogs.oracle.com/arungupta on different Java technologies, he continues to promote Red Hat technologies and products at blog.arungupta.me. 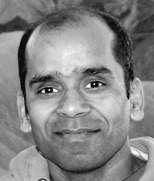 Arun has extensive speaking experience in 37 countries on myriad topics and is a JavaOne Rockstar. An author of a best-selling book, an avid runner, a globe trotter, a Java Champion, he is easily accessible at @arungupta.